Now available online, Mieko Mintz. 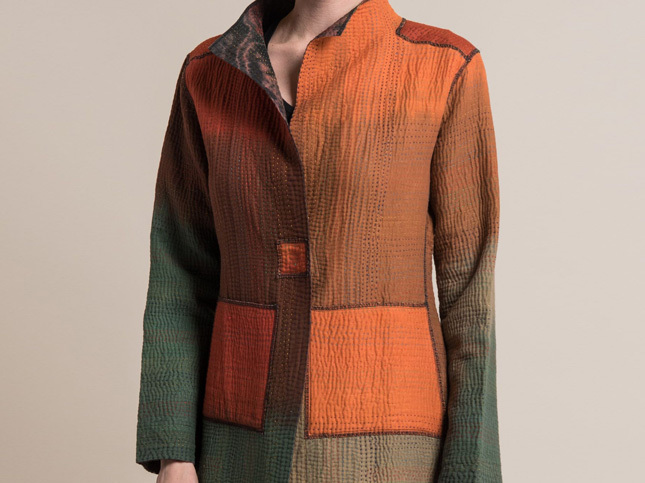 All pieces are made from vintage saris, artfully combined by Mieko Mintz, and created into reversible kantha jackets or patchwork shirts and handbags. The line is also available to shop in-store at Santa Fe Dry Goods on the Plaza in Santa Fe, New Mexico.